Sixty has signed up for another year of sponsorship with SVG Europe. The company, a Gold Sponsor, is a provider of interactive graphics to major broadcasters. 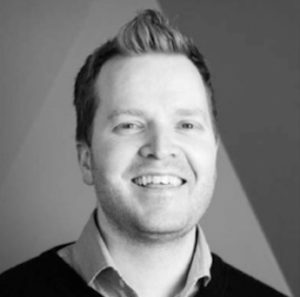 Its CEO, Kjetil Horneland, said on why the company is continuing to work with SVG Europe, that, “if you’re in video and sport matters to your business, then being a member of SVG makes sure you’re part of the conversation”. Horneland continued: “SVG Europe is synonymous with the sporting world and the sports technology industry in general. Through our membership, we are able to expand our reputation and influence in the sports and broadcasting industries. “Working alongside SVG provides us with a platform to ensure that everyone in sports video knows about us and our innovative solutions. SVG Europe does this for us both through its news services and its regular international events, which are a great opportunity to get to know people we don’t know yet as well as catching up with those we already do,” he observed. Sixty delivers interactive viewer clickable graphics for major sporting and news events, including one of the major sports leagues in the US, as well as President Trump’s 2018 State of the Nation address for a leading US broadcaster. At IBC, the company discussed the wider benefits of its cloud-based interactive TV platform. The platform will continue to be fully integrated with today’s broadcast infrastructure going forward, and can deliver every element to any screen as a series of elements, enabling unique consumer experiences at reduced cost.